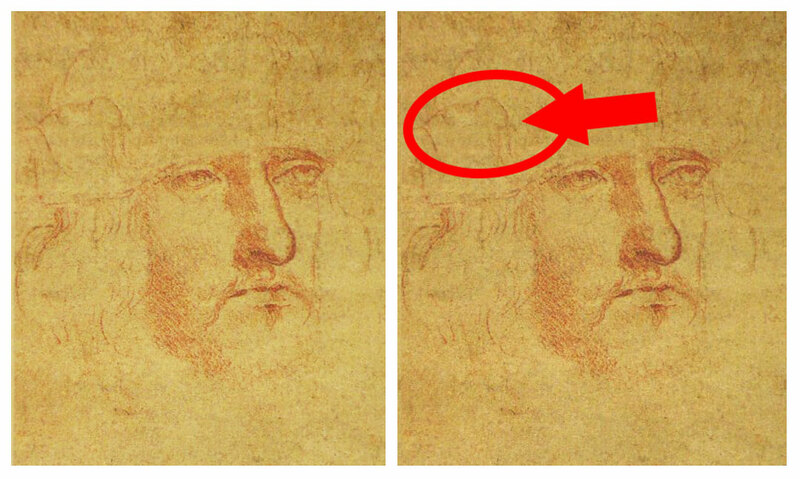 The image which appeared after a digital restoration and was noticed by Angela, does not in my opinion represent a self-portrait of Leonardo as suspected by the well-known broadcaster, but is the portrait of another important historical character: the son of Pope Alexander VI Borgia. Leonardo drew many faces, but this restored one reminded me of a Prince, indeed, of The Prince. In the Biblioteca Reale in Turin, there are three portraits done by Leonardo between 1502 and 1503. 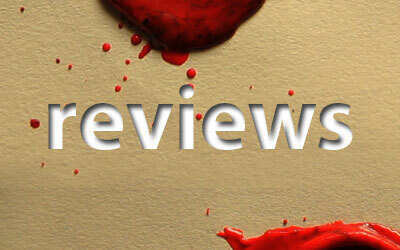 They are portraits of Cesare Borgia, called Il Valentino, the man who for Machiavelli is the embodiment of The Prince. These seem to have all the same features of the portrait discovered by Angela: a small hump on the nose, the downwards facing tip, eyes clear and similar in shape and a well-kept beard. However, it is fashion and elegance that give us the biggest clue, in fact the two portraits are the same even in the clothing. Both wear a hat that has a flap with elegant side wings. 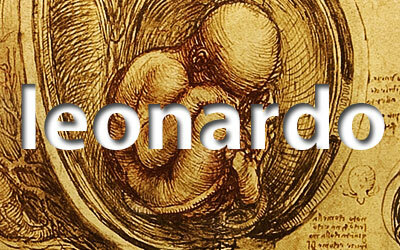 characteristics that have emerged from Leonardo’s page: mustache and goatee beard are all identical. 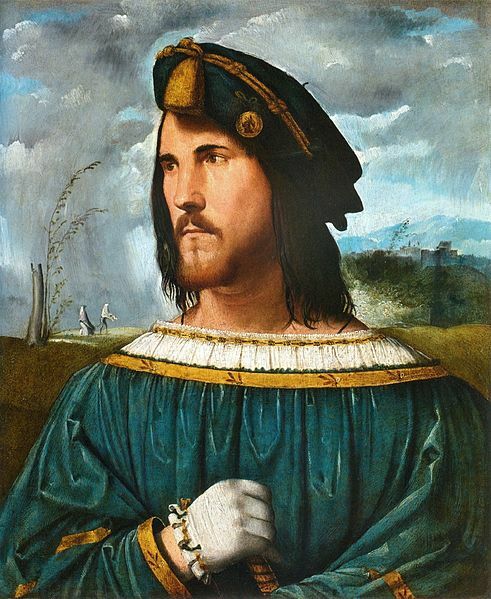 In the most well-known portraits that may represent Leonardo instead, the beard is very thick and less well maintained. 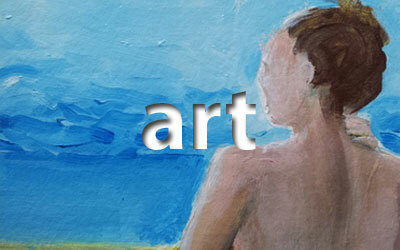 The portrait by Melone and the face recovered by Angela seem to represent the same person. 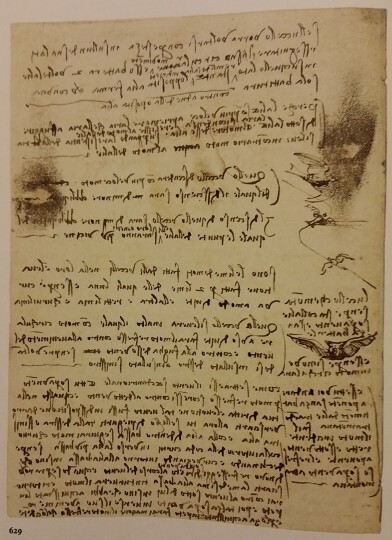 Paper was very valuable in Renaissance times and Leonardo often recycled it by reusing sheets on which he had made sketches. Maybe Leonardo wants to forget. He turned his back on war and the cruel scheming of palace life to deal with the study of flight. The paper outlines a study for a portrait of a ruthless despot, it may have been reused for a project of freedom; the study of one of the most beautiful of human dreams: to fly.